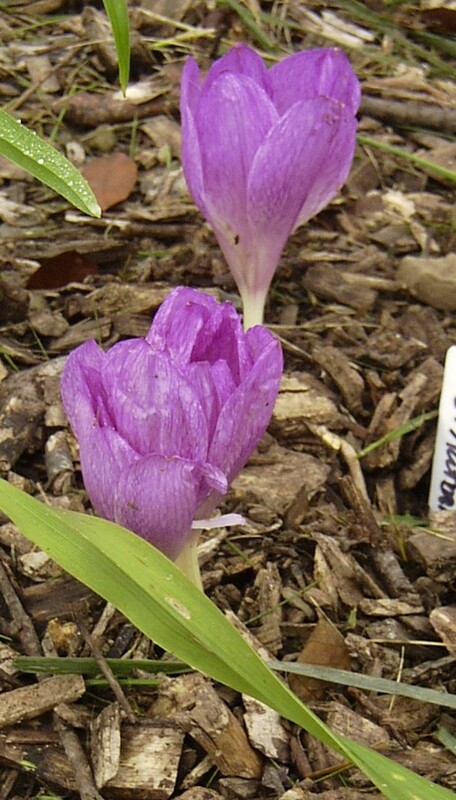 This is Colchicum ‘Autumn Queen,’ one of my recent purchases. It’s the one that was practically blooming in the bag, so it’s no surprise it was up two days after I planted it. By the way, there’s an article in the October 2003 issue of Horticulture that tells you everything I know about colchicums. 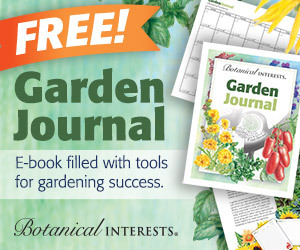 It made me kind of sad to discover it, because I had it in my head that I would write THE article on colchicums as soon as I did a little more research, and it would be my big break into garden magazine writing. Sigh. By the time I really have time to devote to serious writing, the world will be ready for another article on colchicums. Or maybe I’ll be into something else by then. At any rate, it’s a good article, written by one of my favorite authors, Joe Eck. You should read every one of his books, including the ones written with Wayne Winterrowd. They live in Vermont, and they know cold climate gardening. I got to tour their garden once, but that’s a story for another day . . .